Set in the picturesque French Riviera, a former Special Forces officer turned hard-driving courier, Frank Martin (Jason Statham), will deliver anything, no questions asked. His ride of choice is a souped-up BMW, but his success hinges on a list of rules he's established from his days in the service: stick to the deal, don't ask questions, and don't look in the package. Martin's elusive business catering to the underworld's finest is rolling smoothly until he breaks his last rule by looking into a package he's received. Inside he finds the beautiful Lai (Shu Qi), a Chinese national, gagged and bound in a sack. Frank, though reluctant at first, works to save her even as his own illegal actions are exposed by French Detective Inspector Tarconi. Lai's uncovering triggers a dangerous chain of events. What follows is a series of high-flying action scenes and brilliantly choreographed fight sequences, as the pair is forced into various hiding spaces, all in an effort to expose an international Chinese slave ring. Along the way, Frank and Lai fall deeply for one another, tackle twist after twist head on, and expose a nouveau French connection for what they really are: thugs. The couple use their creativity and ingenuity to finagle road bumps, and receive help from the Inspector when necessary. In the end, both Frank and Lai must confront the demons of their past. Frank’s troubling memories from his military days and Lai’s father, are revealed, leading to an action-packed final confrontation. Frank's aggressive talents are put on display as he takes down the smugglers with tactics blinding to the untrained eye, toppling a once thriving criminal enterprise. Shot on stunning French locations with an international cast and crew, and Luc Besson pedigree, the transporter is sure to please the most avid action buffs and those looking for a great story. Make sure you buckle up, you're in for the ride of your life. The Transporter is currently available to watch and stream, download, buy on demand at Amazon Prime, Starz, Amazon, Vudu, Google Play, FandangoNow, iTunes, YouTube VOD online. 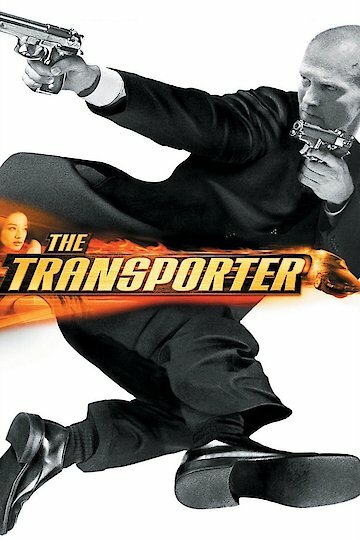 When "The Transporter" came out in 2002, the last thing I thought was that it would turn into a franchise. I certainly had no conception that anyone would make a TV show from it. And yet here we are, casting a show on - of all networks - Cinemax. Entertainment Weekly reports that Chris Vance has been cast in the role made famous by Jason Statham. If you saw Jason Statham roundhouse-kicking guys in the face on an oil slick with bicycle pedals on his feet in "The Transporter" and thought, "I wish I could see this every week," then it's your lucky day. "The Transporter" is being adapted into a TV series, and it now has a home. The series will air on pay channel Cinemax, who has made a 12 episode order.